I live in historic Ybor City, Tampa - home to the oldest continuously operated restaurant in Florida and the very famous 1905 salad. We live right down the street from the Columbia, in fact, you can see the restaurant from our balcony. While this is convenient, the restaurant is continuously busy. Columbia's 1905 Salad was named one of America's top 10 best salads by USA today. Columbia graciously put the 1905 salad recipe online and it is so easy that anyone could make it. I had a craving the other day for the salad and decided to attempt Paella. 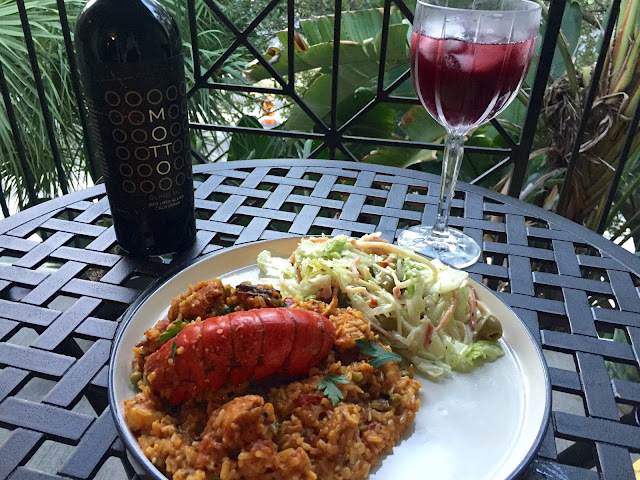 I couldn't have these two dishes without Columbia's Sangria, which recipe is also available online. This was a perfect meal which I will make again! 1/2 cup Swiss cheese, julienne 2" × ⅛"
Combine lettuce, tomato, ham, Swiss cheese, and olives in a large salad bowl. Before serving, add “1905” Dressing, Romano cheese, Worcestershire, and the juice of 1 lemon. Toss well and serve immediately. Makes 2 full salads or 4 side salads. Mix olive oil, garlic, and oregano in a bowl with a wire whisk. Stir in vinegar, gradually beating to form an emulsion, and then season with salt and pepper. For best results, prepare 1 to 2 days in advance and refrigerate. Cut orange and lime in half. Fill large pitcher with ice and combine the wine, brandy, lemon-lime soda, the juice of half of an orange, and the juice of half of a lime. Stir. Add simple syrup to obtain desired sweetness. Slice remaining orange and lime into thin slices. Garnish glasses with orange, lime, and cherry. I used a modified version of Tyler Florence Ultimate Paella recipe which you can find here. The only difference is that I used half the rice (4 cups was an awful lot for 2 people) and left the clams out. Motto Wine is a a new collection of wines from California. 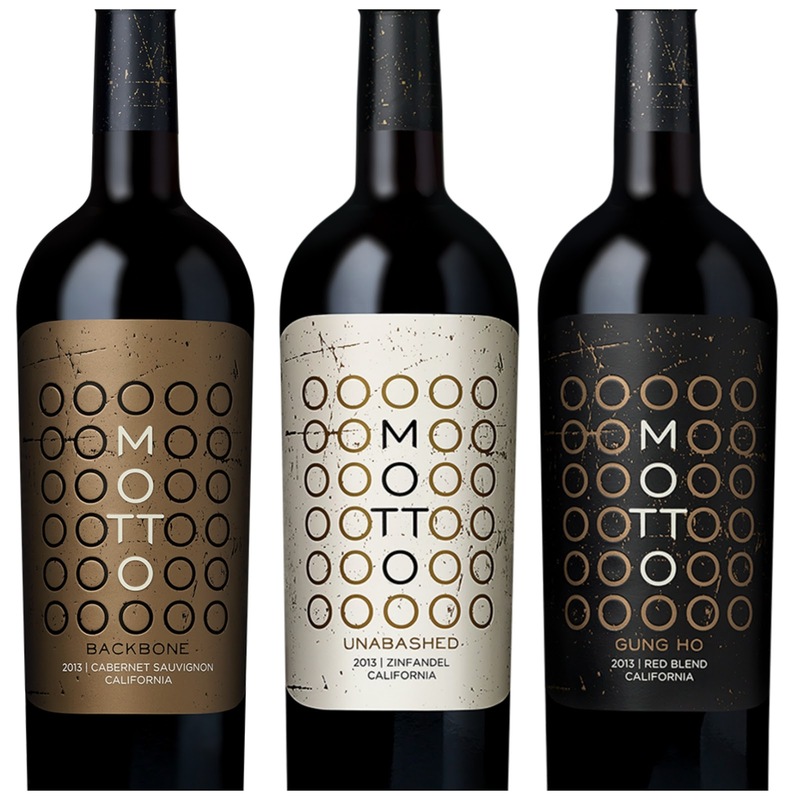 From keeping the wine lots separate throughout fermentation and aging, to determining the final blends right before bottling, the Motto winemaking team defies ordinary and makes it their motto. The resulting wines are dark and bold, yet fruit-forward. For more information visit www.MottoWines.com or facebook.com/MottoWines. 2013 Backbone Cabernet Sauvignon has a strong, determined flavor with dark, concentrated notes of red plum, caramel and bright raspberry that explode out of the glass for a lasting finish. 2013 Unabashed Zinfandel boasts proud and striking scents of soft leather, revealing flavors of chocolate covered raspberries and a touch of spice. 2013 Gung Ho Red Blend excites the palate quickly, full of zealous and enthusiastic fruitful flavors of blueberry, pomegranate and spice.